Incident Summary | A wildfire named the Rattlesnake Hills Fire (also known as the Konnawac Pass Fire) broke out from an unknown ignition start on July 6, 2017. It would soon grow quickly with various Agencies and social media outlets reporting the fire up to 5000 to 5500 acres with a fast rate of speed. Location | The fire is located approximately 1 mile from Moxee in Yakima County. Resources | 136 personnel. 3 crews. 21 engines. 3 helicopters. 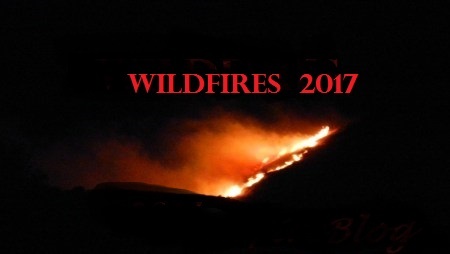 Incident Cooperators | Yakima County Fire Districts, Yakima County OEM, Yakima County Sheriff’s Office, State Mobe (approved on July 6, 2017) and BLM. Size Up | The acreage has been downgraded to 2,916 acres from the initial report of up to 5,500 acres. Currently, the fire has been contained to 85%. Fire Fuels | Brush and grass. Evacuations | On July 6th, Level 2 evacuations were in effect but have since been reduced to Level 1 on Friday, July 7, 2017. These will remain until Saturday, July 8, 2017. Cost-To-Date | Fire suppression and containment cost-to-date have reached $69,000. ← #DodsonFire | Washington State | New!